New York and Delta, BC - October 25, 2018 (Investorideas.com Newswire) Investorideas.com, a global news source covering leading sectors including both cannabis and solar stocks issues a snapshot looking at how solar energy has and will play a key role in the future of the cannabis sector. Companies mentioned: Aurora Cannabis Inc. (TSX: ACB.TO) (NYSE: ACB), Solar Integrated Roofing Corporation (OTC: SIRC), Canadian Solar Inc. (NASDAQ: CSIQ), Aphria (TSX: APH.TO ), (OTC: APHQF) and Emerald Health Therapeutics, Inc. ( TSXV: EMH.V), (OTCQX:EMHTF). With recreational cannabis now federally legal in Canada and the supply in high demand, (not to mention the 30 US States where cannabis is legal, albeit at different levels), the question of power and supply are becoming a larger part of the conversation. An article in SolarPowerworld.com sums up the relationship with solar and cannabis best, "Solar and marijuana are ubiquitous. The early, prohibited cannabis industry used solar panels to offset its electric load so the government wouldn't be able to pinpoint high utility bills to illegal grow operations. But the scale of legal cannabis grows today is a bigger energy concern than the few hidden plants of yesterday." As reported by cannabis intel firm New Frontier Group, cannabis growers use a massive amount of electricity. "We're talking enough to power 1.7 million homes. This is actually about 1% of the entire energy consumption of the United States. And it's only going to increase as the industry continues to grow." California holds the largest market share in the U.S. solar panel market and it comes as no surprise California has also become one of the largest cannabis sectors in the US to date. But can solar meet the demands of this freight-train industry? Solar Integrated Roofing Corporation (OTC: SIRC) is looking to rise to the challenge. Solar Integrated Roofing Corporation CEO, Dave Massey, in recent news said "electricity consumption by the growing cannabis industry represents an opportunity that is hard to overlook. Grow facilities often operate 24/7 using high intensity lighting, special ventilation and air conditioning systems. It was estimated that in 2016 a 5,000 square foot grow facility utilized 41,808 kilowatt-hours per month compared to an average household use of about 630 kilowatt-hours per month. The electrical cost was estimated to be approximately $2,500 per kilogram of cannabis leaf." From the news – "Recreational marijuana's recent legalization in California gives (OTC: SIRC) an excellent opportunity to explore a new market for our custom designed solar roofing. If the California market proves to be successful, SIRC would consider expansion into other states as the legal environment changes." "The CBD extraction industry offers another avenue for expansion. Extraction facilities are also high kilowatt-hour users. Mid-range CBD extraction equipment uses almost 10,000 kilowatt-hours per month, with HVAC and other electrical uses (OTC: SIRC) estimates total use in the range of 15,000 kilowatt-hours per month. A well-designed solar roofing installation can lower production costs for the CBD extraction industry." Looking at well- known solar stock, Canadian Solar Inc. (NASDAQ: CSIQ), an article entitled Canadian Solar Stock: Weed Could Power Up This Solar Play - said "Companies like Canadian Solar Inc. ( NASDAQ: CSIQ) can easily build the required power capacity. The company is working on several big commercial power projects, so the thought of powering a million-square-foot grow-op doesn't seem that unreasonable." "Canadian Solar could be ripe for the challenge and provide another revenue source for its solar solutions. The company has operations in 20 countries and customers in over 90 countries." As of December 2017, legal cannabis growers were spending roughly $6 billion on electricity, and this is before legalization in Canada or some of the medical regulation changes in Europe and the UK. As the Cannabis industry has progressed state by state, and it seems soon now country by country, companies like the Resource Innovation Institute are seeking to provide aide to the industry through publishing best practice studies for the cannabis industry. In one such guide from Denver Environmental Health, they listed three primary reasons why cultivators should look to reduce energy profiles: Economic Competitiveness, Community Relations and Environmental Impact. Obviously much has changed scale and impact-wise since 2016 when the industry was still nascent but with companies creating massive grow facilities, the energy concern has never been more prominent. Companies like Aurora Cannabis Inc. (TSX: ACB.TO) (NYSE: ACB), which earlier this year announced its acquisition of approximately 71 acres of land in Medicine Hat, Alberta, where the Company intends shortly to commence construction on a new high-technology hybrid greenhouse cannabis production facility. To this end, the Company has signed a memorandum of understanding with the City of Medicine Hat, concerning terms and a general understanding of potential transactions, including a prospective 10-year, 42 MW energy supply agreement. The new facility, to be designed and engineered by the Company's wholly owned Aurora Larssen Projects Inc. division, will be named "Aurora Sun" in recognition of Medicine Hat's status as the sunniest city in Canada, with more than 2,500 hours of sunshine per year. At 1,200,000 square feet, or over 21 football fields, the footprint of Aurora Sun will be 50% larger than Aurora's Sky, a 100,000+ kg per year Health Canada licensed facility the Company is completing at Edmonton International Airport. As facilities of this size become more the norm then the exception, companies like Solar Integrated Roofing Corporation (OTC: SIRC) and Canadian Solar Inc. (NASDAQ: CSIQ) may soon have their "day in the sun". Energy efficiency and the power of the sun is not new information to one of the leaders in the Canadian cannabis sector, Aphria (TSX: APH.TO ), (OTC: APHQF), a Health Canada Licensed Producer of medical cannabis products. According to an article in insiderFinancial.com- "The firm is reputed to be one of Canada's most cost-efficient producers which engage in the production, supply and sale of medical cannabis. The firm truly deploys solar energy." The company's website states – "Aphria is truly 'powered by sunlight', allowing for the most natural growing conditions available to produce safe medical cannabis products." Earlier this year, Emerald Health Therapeutics, Inc. (TSXV: EMH.V) and Village Farms International, Inc. (TSX: VFF) announced their 50/50 joint venture for large-scale, low-cost, high-quality cannabis production, Pure Sunfarms. "Pure Sunfarms initiated commercial-scale cannabis production in May of this year and is currently utilizing 225,000 square feet of its 1.1-million square foot Delta 3 greenhouse facility in Delta, BC, with the expectation that the full 1.1 million square feet will be converted for cannabis production by the end of 2018, on schedule and on budget. Upon completion of the conversion, Pure Sunfarms' Delta 3 facility will be one of the single largest cannabis growing facilities in the world." The technologically-advanced Delta 3 greenhouse design is based on decades of large-scale, low-cost agricultural production experience and extensive cannabis expertise, resulting in a state-of-the-art facility with 17 grow rooms optimized for year-round harvesting (more than 85 harvests annually) and an automated process line encompassing harvesting, trimming, drying and packaging. The greenhouse is designed to cultivate more than 200,000 cannabis plants concurrently. Commercial production of such scale requires a massive energy supply and though not massively adopted on the market as of yet, the future could look very "Green" for an already growing solar industry. According to research from Hexa Research, "The U.S. solar panel market size is expected to reach USD 22.90 billion by 2025 as a result of increasing demand from consumers owing to decreased installation cost of solar panel systems. Increasing environmental awareness among customers is driving the adoption of cost-efficient renewable forms of energy over conventional energy sources. The year 2016 witnessed a significant growth in number of installations of solar panels in U.S. For instance, more than 11.8 GW of solar panels were installed in U.S. in 2016." Investorideas.com is a recognized news source publishing third party news and press releases plus we create original financial content. Learn about investing in stocks and sector trends from Investorideas.com with our news alerts, articles, podcasts and videos talking about cannabis, crypto, technology including AI and IoT, mining, sports biotech, water, renewable energy and more. Investorideas.com original branded content includes the daily Crypto Corner and Podcast, Play by Play sports and stock news column, Investor Ideas #Potcasts #Cannabis News and Stocks on the Move podcast and column, Cleantech and Climate Change Podcast and the Stock Guru daily podcast on Support and Resistance Trading. Point Roberts, WA and Delta, BC - October 20, 2018 (Investorideas.com Newswire) Investorideas.com, a global news source and leading investor resource announces this week's additions to its global stock directories in cleantech, water, defense, luxury brands and agriculture. The newest cleantech companies are involved in the electric vehicle marketplace, energy storage using lithium and solar energy operations. The latest water company operates globally providing sustainable water and wastewater solutions, and the newest security company makes less lethal munitions and equipment for law enforcement, private security and military applications. The newest luxury brand and agriculture companies are both recent Nasdaq IPO's and are involved in the luxury fashion industry and global animal health respectively. NIO INC. (NYSE:NIO) is a pioneer in China's premium electric vehicle market, founded in November 2014. NIO's mission is to shape a joyful lifestyle by offering premium smart electric vehicles and being the best user enterprise. NIO designs, jointly manufactures, and sells smart and connected premium electric vehicles, driving innovations in next generation technologies in connectivity, autonomous driving and artificial intelligence. Redefining the user experience, NIO provides users with comprehensive, convenient and innovative charging solutions and other user-centric services. NIO began deliveries of the ES8, a 7-seater high performance electric SUV in China from June 2018 and plans to launch ES6, a 5-seater electric SUV in late 2018. LIVENT CORP.(NYSE: LTHM) For more than six decades, Livent has partnered with its customers to safely and sustainably use lithium to power the world. Livent is one of only a small number of companies with the capability, reputation, and know-how to produce high-quality finished lithium compounds that are helping meet the growing demand for lithium. The company has one of the broadest product portfolios in the industry, powering demand for green energy, modern mobility, the mobile economy, and specialized innovations, including light alloys and lubricants. Livent employs approximately 700 people throughout the world and operates manufacturing sites in the United States, England, India, China and Argentina. Dominion Energy (NYSE: D) Nearly 6 million customers in 19 states energize their homes and businesses with electricity or natural gas from Dominion Energy (NYSE: D), headquartered in Richmond, Va. The company is committed to sustainable, reliable, affordable, and safe energy and is one of the nation's largest producers and transporters of energy with over $78 billion of assets providing electric generation, transmission and distribution, as well as natural gas storage, transmission, distribution, and import/export services. As one of the nation's leading solar operators, the company intends to reduce its carbon intensity 50 percent by 2030. Through its Dominion Energy Charitable Foundation, as well as EnergyShare and other programs, Dominion Energy plans to contribute more than $30 million in 2018 to community causes throughout its footprint and beyond. Security Devices International Inc. (CSE:SDZ) is a technology company specializing in the areas of Military, Law Enforcement, Corrections and Private Security. We develop and manufacture innovative, less lethal munitions and equipment that are safe, effective and reliable. FARFETCH LTD (NYSE:FTCH) is a global omnichannel platform for the luxury fashion industry. Its business units include Farfetch.com, Farfetch Black & White, Store of The Future, and Browns (including Brownsfashion.com). Founded in 2007 by José Neves for the love of fashion, and launched in 2008, Farfetch began as an e-commerce marketplace for luxury boutiques around the world. Today the marketplace connects customers in 190 countries with items from more than 45 countries and over 980 of the world's best boutiques and brands, delivering a truly unique shopping experience and access to the most extensive selection of luxury on a single platform. Farfetch is the leading global technology platform for the luxury fashion industry with a proprietary end-to-end API at the core of an unrivalled technology and logistics network. Through its business units – Store of The Future, Farfetch Black & White and Browns – Farfetch continues to invest in innovation and develop key technologies, business solutions, and services for the luxury fashion industry, connecting online and offline retail. ELANCO ANIMAL HEALTH INC. (NYSE:ELAN) is a global animal health company that develops products and knowledge services to prevent and treat disease in food animals and pets in more than 90 countries. With a 64-year heritage, we rigorously innovate to improve the health of animals and benefit our customers, while fostering an inclusive, cause-driven culture for more than 5,800 employees. At Elanco, we're driven by our vision of food and companionship enriching life – all to advance the health of animals, people and the planet. Investorideas.com is a recognized news source publishing third party news and press releases plus we create original financial content. Learn about investing in stocks and sector trends from Investorideas.com with our news alerts , articles , podcasts and videos talking about cannabis, crypto, technology including AI and IoT , mining ,sports biotech, water, renewable energy and more . Investorideas.com original branded content includes the daily Crypto Corner and Podcast, Play by Play sports and stock news column, Investor Ideas #Potcasts#Cannabis News and Stocks on the Move podcast and column, Cleantech and Climate Change Podcast. Investorideas.com is a recognized news source publishing third party news and press releases plus we create original financial content. Learn about investing in stocks and sector trends from Investorideas.com with our news alerts , articles , podcasts and videos talking about cannabis, crypto, technology including AI and IoT , mining ,sports biotech, water, renewable energy and more . Investorideas.com original branded content includes the daily Crypto Corner and Podcast, Play by Play sports and stock news column, Investor Ideas #Potcasts#Cannabis News and Stocks on the Move podcast and column, Cleantech and Climate Change Podcast and the Stock Guru daily podcast on Support and Resistance Trading. Clean Energy Stocks Blog for Green Investors: part of the Investorideas.com cleantech investor stock research content. Research Renewable Energy and water stocks as an Investor Ideas member and gain access to global green stock directories- get login access to all 4 cleantech stock directories including water stocks and renewable energy stocks : http://www.investorideas.com/membership/. September 13, 2018 (Investorideas.com Newswire) A growing shift in priorities has led to the top oil and gas corporations investing in cleantech in unprecedented numbers over the past few years, to the surprise of literally everyone. Cleantech, sometimes referred to as clean technology or greentech, is an umbrella term encompassing the fields of alternative energy (such as solar and wind power), Alternative materials (materials with the potential to replace petrochemicals), and environmental impact (technological concepts such as carbon capture and home and vehicle efficiency). In 2015, the number of venture capital stakes, project investments, and acquisitions by oil majors totaled 21. Just one year later, that number more than doubled, jumping to 44, according to Bloomberg New Life Energy Finance. Integrated Oil Companies, defined by CB Insights as international and state owned companies with operations across the oil and gas value chain, are incentivized for investing in enabling the replacement of hydrocarbon energy to lower operating costs of providing fuel. Chevron and BP are the current investment leaders in the oil and gas (O&G) industry. CB Insights analyzed data from the investment activity of the largest companies in the O&G value chain. This move toward renewable energy investment comes as quite a shock, considering that 78% of the United States total carbon emissions currently come from industrial sectors, transportation, and electricity generation. As we know, investments in renewable energy saw a steady increase in the first decade of the new millennium, but tanked following the implosion of Solyndra, in 2011. The PR nightmares they faced after a few widely publicized oil spills led both private and public investors to expel holdings in the oil and gas industry. In effort to reboot their image, interest in cleantech has been rapidly building. Mirroring this increase in investment, we've already seen a large increase in renewable energy jobs, with solar and wind accounting for nearly half of all jobs in the energy sector in 2016. Though this change has been unexpected, the money being spent on clean energy is still a drop in the bucket when compared to the sums invested in crude oil each year. While oil majors are far from done dealing with their tried-and true cash cow, the effort to explore more planet-friendly sources of energy is a big step in the right direction. How big? Bloomberg New Energy Finance estimated that in 2016, nearly $290 billion was spent on clean energy. Exxon Mobil alone is currently spending $1 billion per year on researching low carbon technologies. One small step for Big Oil, one giant leap for the future of humanity. Which cleantech Concepts are Getting the Most Funding? Solar energy leads the herd in terms of projects funded by oil companies. Wind came up second at roughly half the amount of funded projects, with a marked rise in offshore wind investments. Offshore wind investment projects are the riskiest and largest scale in the cleantech field, which makes their potential for profitability soar. The world's first floating wind farm was developed by ASA off the coast of Scotland. Biofuel seems to have peaked when oil prices went sky-high in the years following 2010, and have since tanked after the 2014 oil price crash. Which Big Oil Companies are Leading Clean Energy Funding? 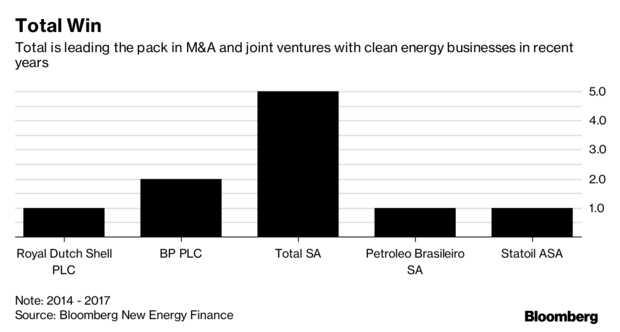 Total SA is currently dominating when it comes to the number of clean energy acquisitions and joint ventures, due in large part to having purchased a majority stake in SunPower Corp. in 2011 and Saft Group, a battery company, in 2016. What Types of Projects are Being Funded? Producing 200 million gallons of low-carbon ethanol annually, Oil giant BP aims at using renewable liquids to leverage its global fuels infrastructure. Some of its factories in Brazil have been able to power themselves by burning agricultural waste. DuPont has joined forces with BP, forming a venture called Butamax. They plan to genetically engineer microbes to make butanol, an alcohol that can blend with gasoline, similar to ethanol blends in the US. The total market opportunity in the US hovers around 20 billion gallons. 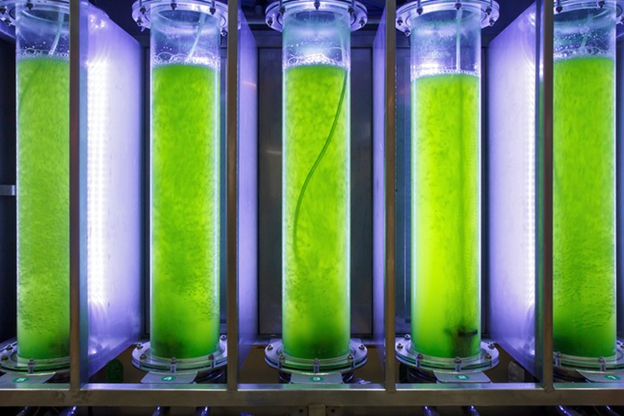 Exxon Mobil has recently displayed a heavy focus on synthetic biology, aiming at genetically engineering algae on large outdoor farms, with the hope of being able to use industrial CO2 and sunlight to produce renewable crude. This project has the possibility of becoming very large scale. The oil giant is also working with Renewable Energy Group, a biodiesel producer, to genetically engineer microbes that will convert waste biomass into biodiesel. 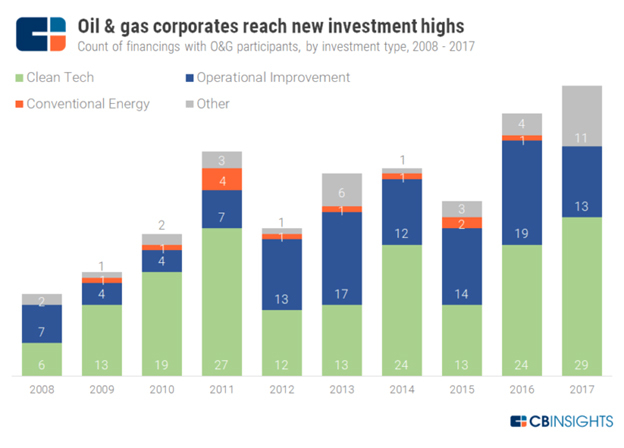 Will the trend of big oil and gas companies investing in cleantech continue, or will regulations under the current administration de-incentivize such investment? Either way, we see this recent trend as a positive development: carbon reduction targets look to be within reach and the future seems a bit greener. Disclaimer/Disclosure: Investorideas.com is a digital publisher of third party sourced news, articles and equity research as well as creates original content, including video, interviews and articles. Original content created by investorideas is protected by copyright laws other than syndication rights. Our site does not make recommendations for purchases or sale of stocks, services or products. Nothing on our sites should be construed as an offer or solicitation to buy or sell products or securities. All investment involves risk and possible loss of investment. This site is currently compensated for news publication and distribution, social media and marketing, content creation and more. Contact each company directly regarding content and press release questions. Disclosure is posted for each compensated news release, content published /created if required but otherwise the news was not compensated for and was published for the sole interest of our readers and followers. More disclaimer info: https://www.investorideas.com/About/Disclaimer.asp. This article is paid for published third party content and not the content of Investorideas.com. directories in cannabis, mining, energy, cleantech and music. 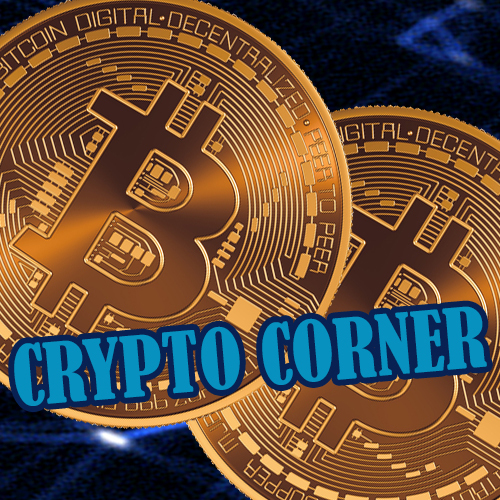 Canadian Exchanges (TSX Venture & CSE), as are both new mining companies. IPOS on Nasdaq and the latest renewable energy/fuel cell company, BLOOM ENERGY CORP (NYSE:BE) is a recent addition to the NYSE. and emerging markets across North America. cannabis and natural gas and crude oil reserves in Alberta. the CEO of Cronos Group Inc. (NASDAQ: CRON). British Columbia of 7 mineral claims. advanced-exploration and resource definition stage. conventional oil reserves located in the western United States. traded companies about today's problems and solutions for the future. iHeartRadio and Google Play Music, plus many other sites. to the content they love and allowing them to control it however they choose. retail investors a wide variety of stocks to review. well as creates original content, including video, interviews and articles. construed as an offer or solicitation to buy or sell products or securities. followers. More disclaimer and disclosure info: http://www.investorideas.com/About/Disclaimer.asp. podcasts or columns or be a guest call us today!